HIGHSIDER™ – QUALITATIV HOCHWERTIGE MOTORRADTEILE! 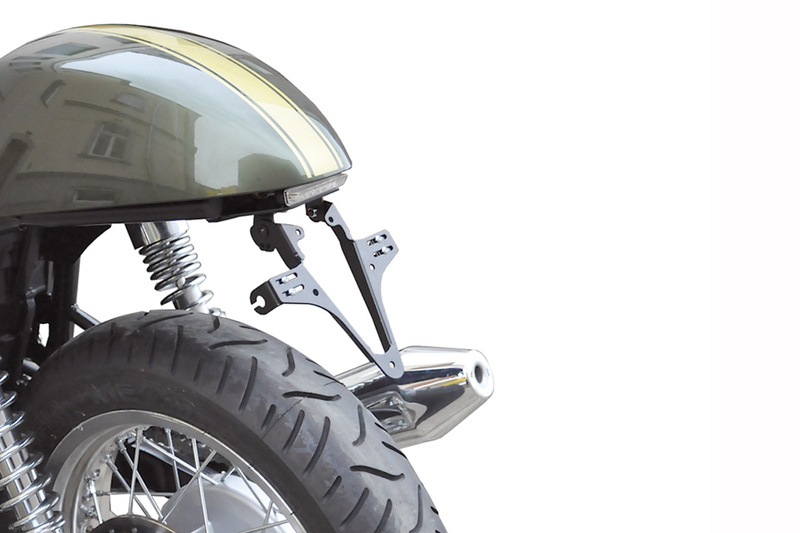 - HIGHSIDER License plate bracket TRIUMPH Thruxton 900, Bonneville, Scrambler - HIGHSIDER™ - QUALITATIV HOCHWERTIGE MOTORRADTEILE! Fits Triumph Thruxton 900 / Bonneville / Scrambler. The original taillight is not usable anymore. Please order additional fitting taillight, Item No. 255-070, 255-071 or 255-072.